Busted: Hontiveros did not file bill for color coding MRT, LRT passengers! 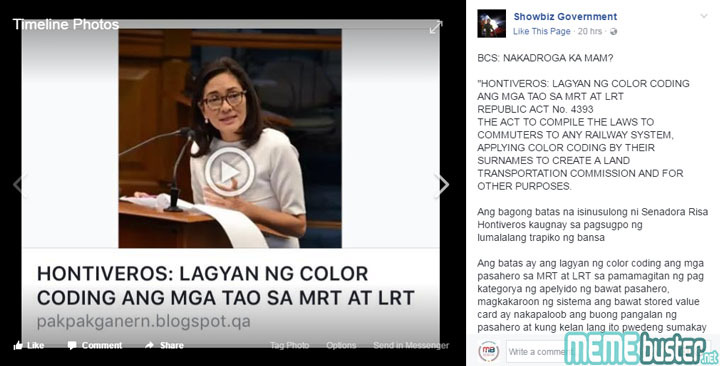 Duterte fan page Showbiz Government fell 100% for the lie that Senator Risa Hontiveros filed a bill to color-code passengers of the MRT and LRT. The page even asked if the senator is using drugs, but we’d like to fire the question back at the page for being so gullible in believing an obvious lie. Showbiz Government did not even try to verify its source, a blog aptly named PAK GANERN! The article added that Hontiveros’ “bill” seeks to put color coding on the MRT and LRT commuters based on their surname through their stored value card. The card will determine when a passenger may or may not be allowed to take the train. Senator Leila de Lima, Hontiveros’ ally, was said to have agreed with the passing of the bill into a law because de Lima herself has experienced taking the MRT in the 2016 elections. This is another lie because if de Lima took the MRT during her senatorial run in the last elections, this would have been widely reported or at least have surfaced in social media. But no such thing happened. We also checked RA 4393 and it turned out to be a law granting Emilio Sy a franchise to construct, operate and maintain TV and radio broadcasting stations within the Philippines. This is another lie within the article and Showbiz Government bought it, without checking these lies, and shared it to all of its followers. Based on the comments and the number of shares, so many people also bought the lie, slamming Hontiveros and calling her crazy. The fact is, them calling the senator names only made their gullibility all the more laughable. And Senator Hontiveros did have a good laugh. Her emoticon of a laughing face with tears as she posted a denial of having ever filed such a ludicrous bill surely showed that. “Wala po akong bill na i-color coding ang mga pasahero sa LRT/MRT. Pero highly recommended ko mag-color coding sa labada at paggamit ng auto!” Hontiveros said. 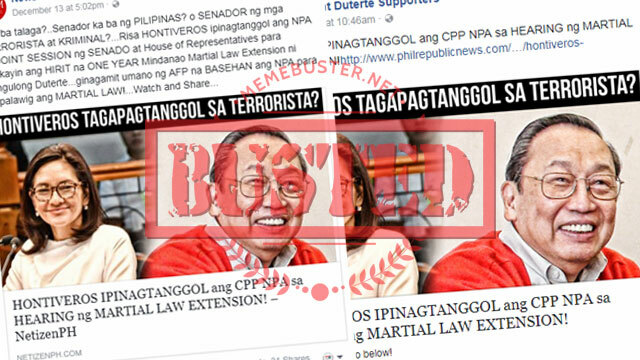 Busted: Duterte blog claims Trillanes is confirmed talking to cops, soldiers to oust Duterte! FALSE CLAIM! 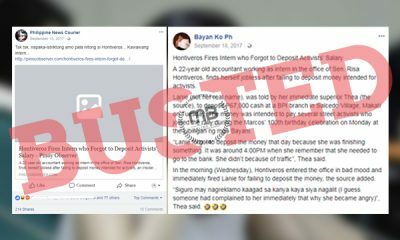 Busted: Hontiveros fires intern who forgot to deposit salary for activists? Fake news alert! 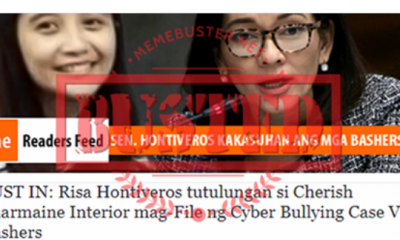 Busted: Hontiveros will help female driver who hit taxi driver in viral video file cyberbullying case? It’s fake news! Busted: Hontiveros defended the CPP-NPA during joint session on martial law extension? Title is misleading! Busted: Hontiveros insulted Bacolod after arriving at the province? Story was posted as ‘satire’! Busted: Did Hontiveros say MRT should stock up on diesel, gasoline to solve its problems? No, she didn’t! Busted: Hontiveros hindi kinaya si Thinking Pinoy, nag walk out? Misleading title!